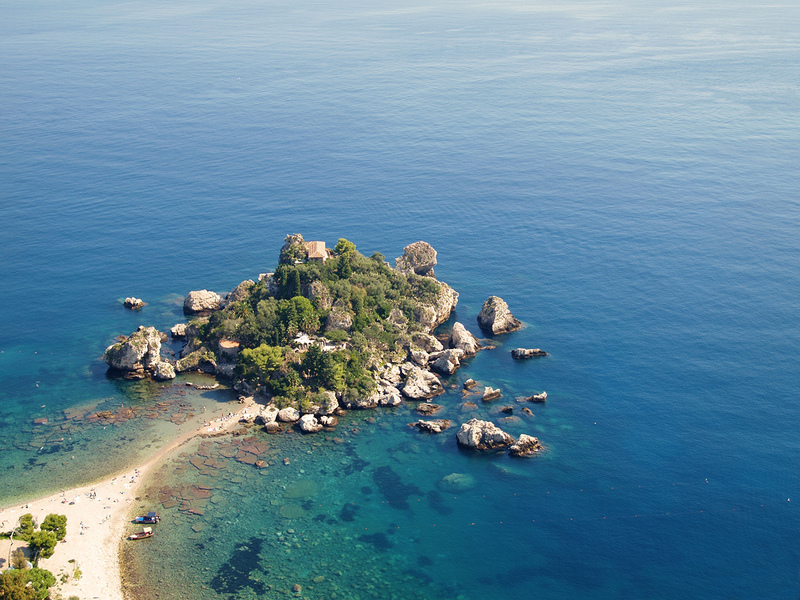 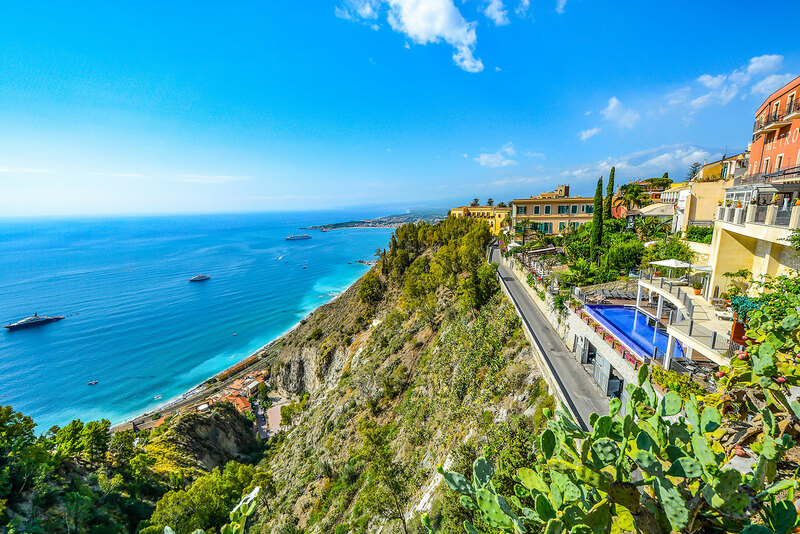 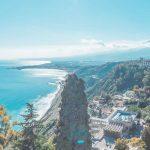 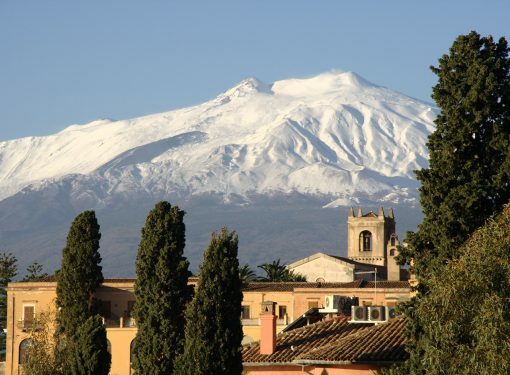 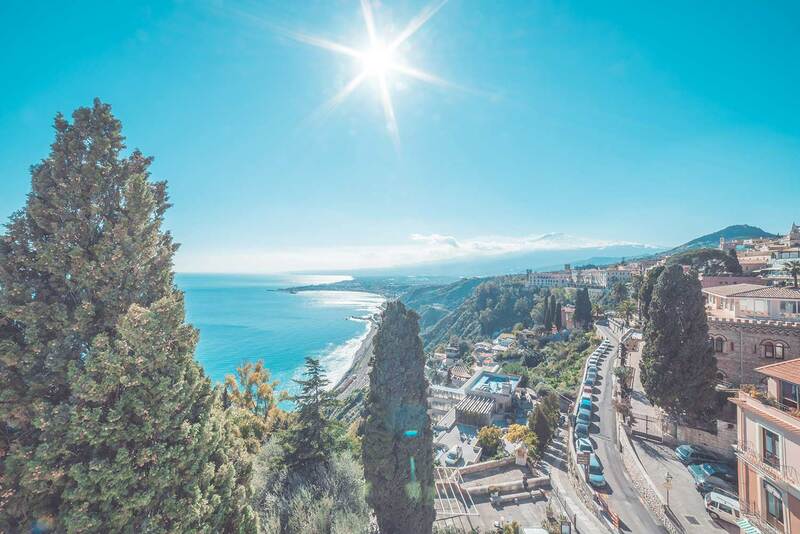 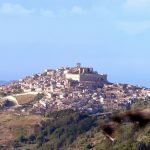 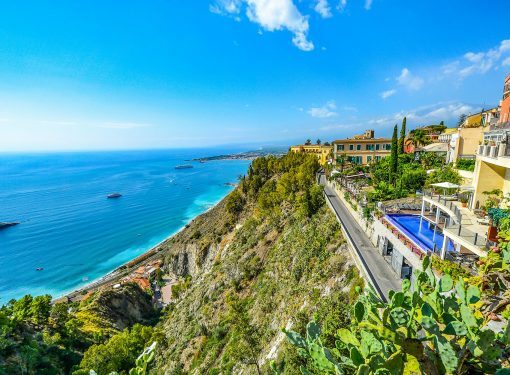 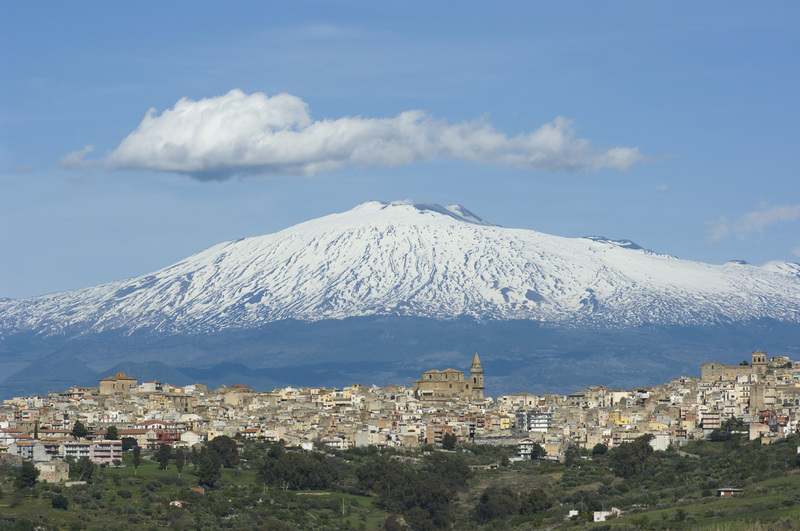 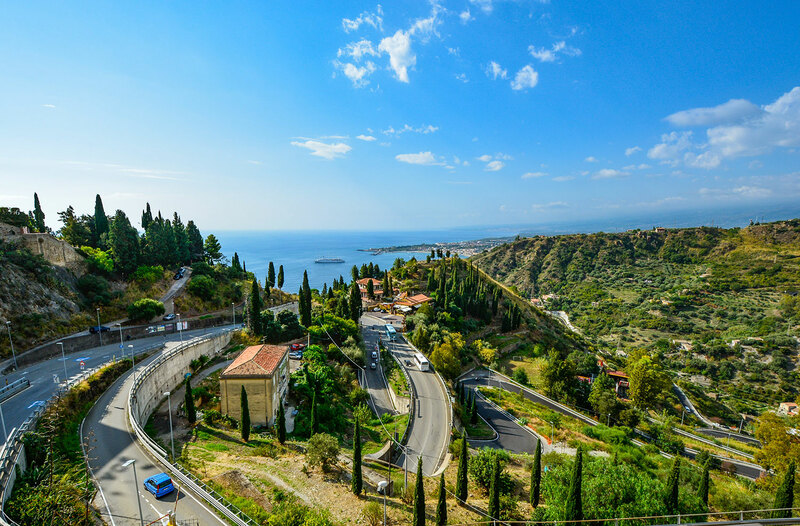 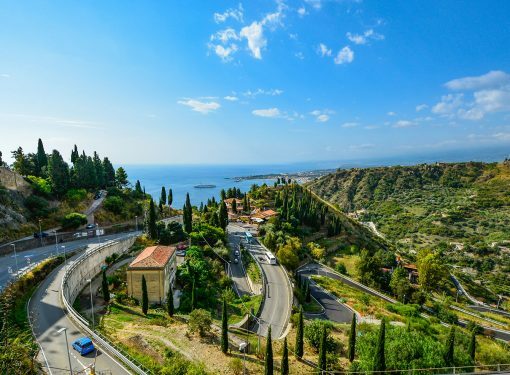 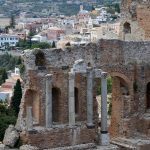 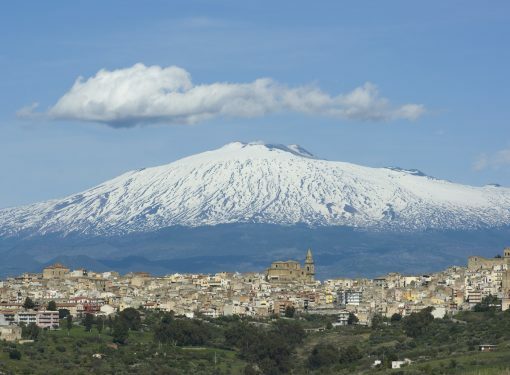 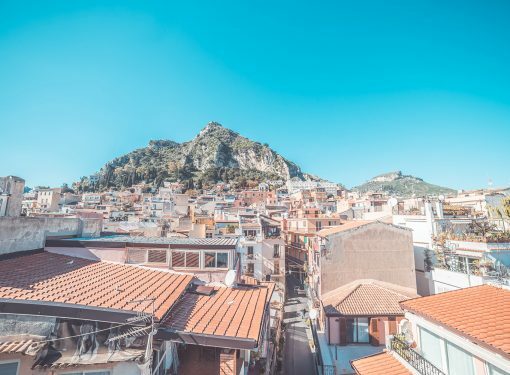 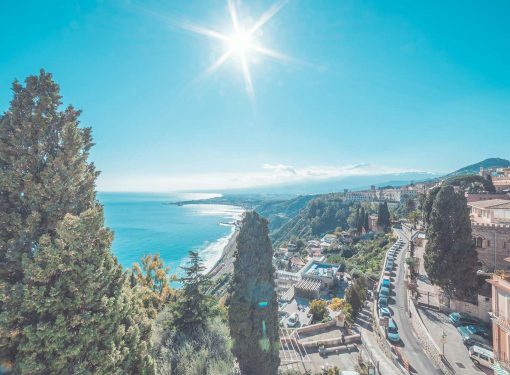 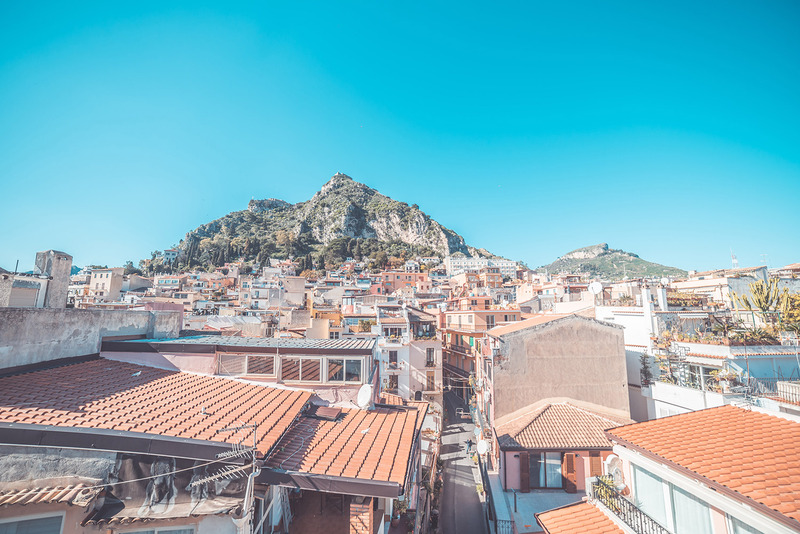 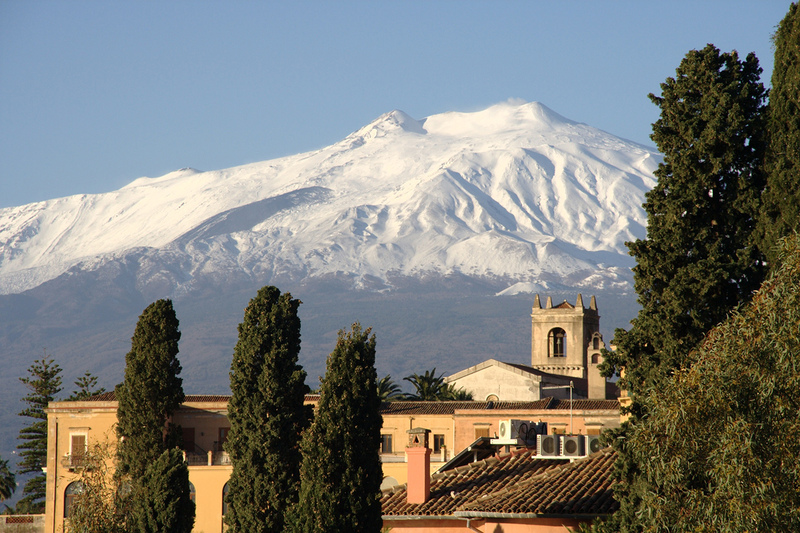 It is perhaps the best known international tourist destination in Sicily due to its stunning natural setting, its beautiful marine landscape and its impressive historical monuments. 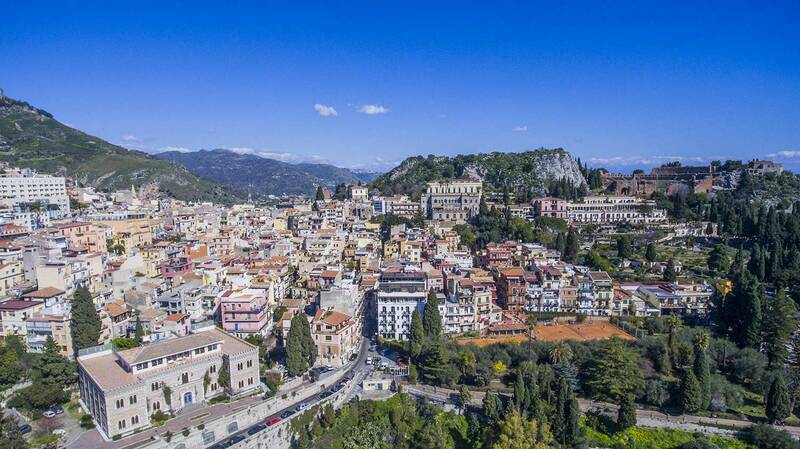 Taormina is considered one of the most beautiful, hospitable and fascinating towns in all of Sicily; its allure is mainly attributable to the nature of its surroundings: on one side is the sea with an attractive beach typical of the Sicilian coastline, and all around the other side are hills and mountains typical of the entire centre of the region; it is the very reason millions of tourists come to visit this magnificent area every year. 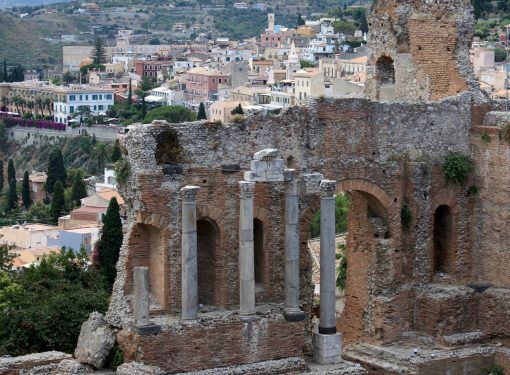 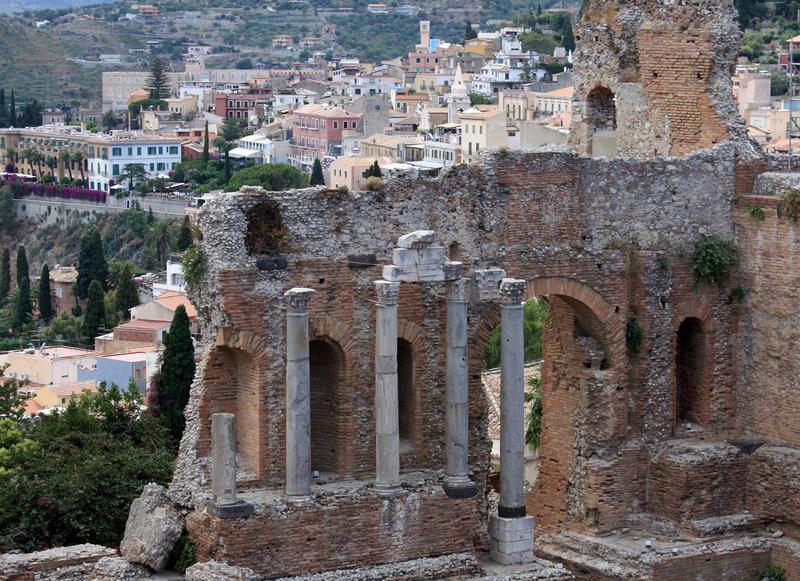 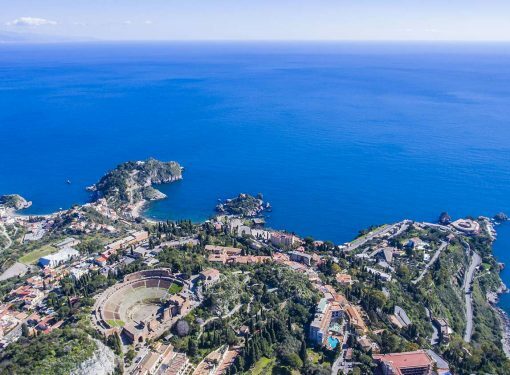 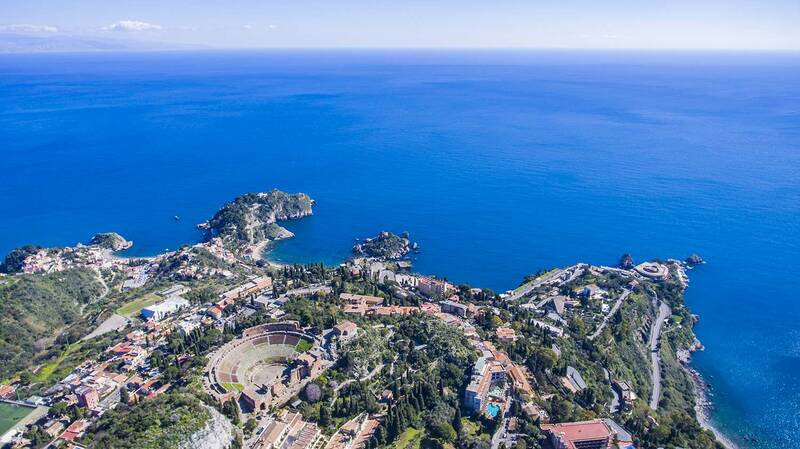 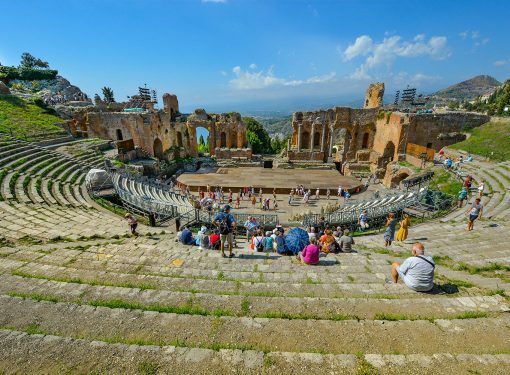 Many shows and events are held annually in Taormina, particularly during the summer. 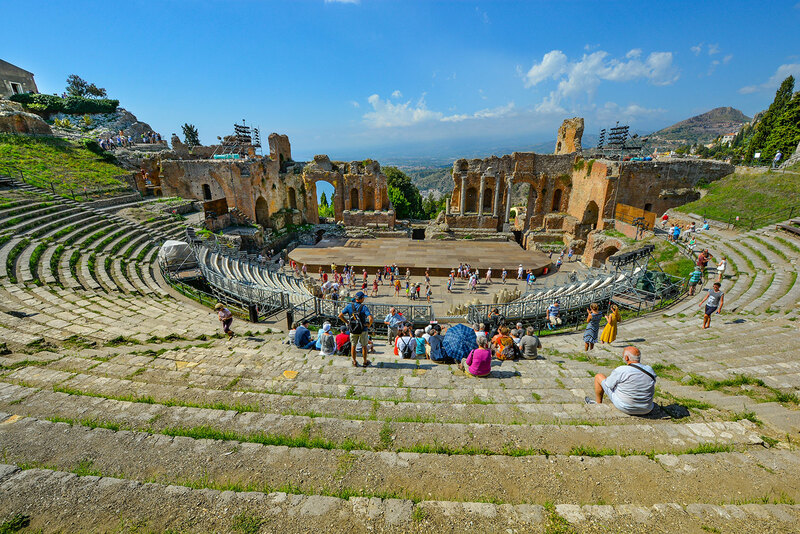 The Greek Theatre is the setting par excellence for concerts, performances of classical and light music, plays and operas, evenings of entertainment, the Nastro d’argento movie awards, the Kore fashion show, and for famous Italian and international singers. 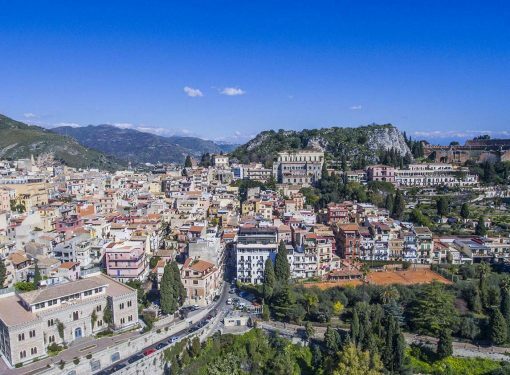 The Taormina Arte festival includes the Taormina Film Fest, a film festival established in 1960 as the Rassegna Cinematografica di Messina e Taormina which also hosted the David di Donatello awards for twenty years with the participation of some of the most famous people in the world of film and entertainment.